Providing a licensing system for the early release of up to 500 loyalist and republican prisoners sentenced before 10 April 1998, the Northern Ireland (Sentences) Act 1998 formed a crucial foundation of the Good Friday Agreement. 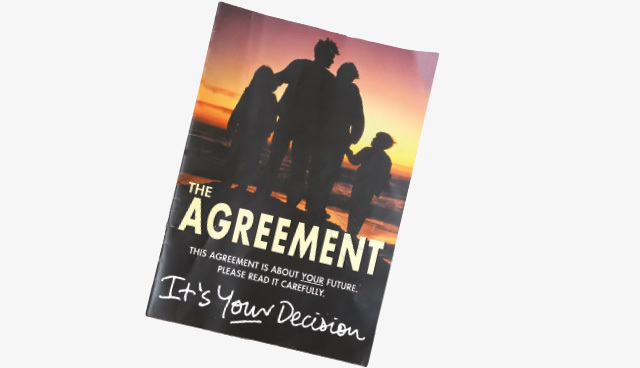 agendaNi reviews the design and implementation of the discharge mechanism, recognised as one of the most controversial elements of the Northern Irish peace process. Efforts to resolve the conflict in Northern Ireland took decades to produce any notable success. The signing of 1998’s Good Friday Agreement, however, set the region on the beginning of aa path towards arms decommissioning and a degree of societal reconciliation. The question of early releases for paramilitary prisoners was highlighted by rival combatants as a key imperative of any peace accord: a demand which generated considerable controversy at the time of the negotiations. However, the support of prisoners has been consistently recognised as central to the success of the peace process, with Rev Harold Good recently stating that early releases allowed for the “inclusion of politically motivated prisoners in the search for a resolution”. Indeed, the SDLP’s Mark Durkan admitted at the time that the mechanism composed the “ugly scaffolding” at the foundation of the agreement. The text of the Good Friday Agreement contained within it one of the most significant concessions to prisoner demands in a five-point subsection dedicated to early releases. Fundamentally, the subsection outlined that both British and Irish Governments were to put in place mechanisms to “provide for the accelerated programme for the release of prisoners”, excluding members of organisations “not maintaining a complete and unequivocal ceasefire”. The subsection, whilst outlining that prisoners who remain in custody for two years after the commencement of the scheme would be released at that point, simultaneously calls for a concerted reintegration of prisoners, “including assistance directed towards availing of employment opportunities, re-training and/or re-skilling, and further education”. The mechanisms providing for the early release of prisoners were guaranteed by the passage of the Northern Ireland (Sentences) Act in Northern Ireland and the Criminal Justice Act in the Republic, with no prerequisite demand for decommissioning. In Northern Ireland, the Northern Ireland (Sentences) Act formally instated a Sentences Review Commission, conceived as an independent body to oversee the process. Composed of prominent human rights activists such as South African lawyer Brian Currin and former Under Secretary of State John Blelloch, the Sentences Review Commission determined the licensing conditions of early release prisoners. The pragmatic framework of the provision outlines several licensing conditions, including that the sentence is one of imprisonment for life or for a term of at least five years; that the offence was committed before 10 April 1998, that the prisoner is not a supporter of a specified organisation (i.e. each individual must be a member of a party involved in the ceasefire), that the prisoner would not be likely to become a supporter of a specified organisation and that the prisoner, if a life sentence prisoner, would not be a danger to the public. The framework also outlined that fixed term sentences were to be reduced by two-thirds, whilst life sentences were calculated by how long such prisoners would usually serve and then reduced by a third. All remaining prisoners still incarcerated by June 2000 would be released. The provisions devised by the Sentences Review Commission meant that a prisoner who was sentenced to five or more years in prison would serve one third of their sentence, whilst recipients of a life sentence would serve terms compatible with a prisoner not sentenced to paramilitary crimes, minus one third. Included in the Northern Ireland (Sentences) Act was the provision for a monitoring function, which allowed organisations then not operating under the system to be potentially integrated into it following reforms. Once the scheme came into operation, 446 applications for release were submitted to the Commission, with a preliminary indication of release normally given to applicants. Post-decision mechanisms were established, allowing prisoners to “request a judicial review of the decisions”. Overseeing the implementation of this aspect of the peace process is the Office of the Secretary of State, which has retained ultimate power over the scheme, with the Secretary of State granted the ability to suspend the scheme to prevent the release of individuals considered to be not meeting the established criteria. Whilst many aspects of the Northern Irish Peace Process appeared to mirror elements of the South African peace accord, several features separate the Good Friday Agreement from its National Peace Accord sister document. Whilst the South African National Peace Accord allowed for total amnesties and pardons for prisoners, the Good Friday Agreement, through the Northern Ireland (Sentences) Act and the Sentences Review Commission, has attempted to provide a structured legal process for assessing prisoners. Similarly, the South African model of early releases contrasts with the Northern Irish model, where a Secretary of State holds authority over the revoking of licenses and decision-making as to whether a prisoner had breached the terms of their license. Since 2007, retrospective reaction to the Good Friday Agreement’s early release scheme has been mixed. Arguments have been made for a veto over the processing of particular individuals, whilst unionist groups such as the DUP have been to the forefront of condemning the Agreement. Whilst demands for such a veto were never met, the Government did respond to criticism by inserting a mechanism ensuring that victims would be informed of prisoner releases. Meanwhile, concerns over reoffending were addressed by the Northern Ireland Association for the Care and Resettlement of Offenders and extensive funding from the European Union Peace and Reconciliation Fund. 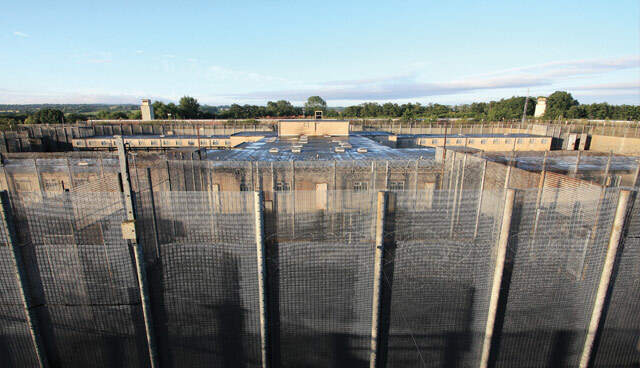 Over 20 years since the signing of the Good Friday Agreement, the peace accord’s mechanisms in relation to paramilitary prisoners continue to operate in Northern Ireland. Only 16 out of 449 prisoners freed between 1998 and 2007 had their licenses revoked, 12 of which were prisoners serving life sentences. The unprecedented nature of the Northern Ireland (Sentences) Act 1998 has resulted in further outworking and interpretation of the legislation in the courts. This was seen recently in a High Court ruling which determined that Department of Justice (DoJ) officials had wrongly determined the eligibility of former paramilitary Michael Stone to seek parole, after his early release license was revoked after a botched attack on Stormont buildings in 2006. The January ruling found that the six-year period spent on license before the Stormont attack did not count towards his 30-year minimum terms of imprisonment. In a landmark decision around the early release of prisoners, Justice McCloskey highlighted the early release scheme as one which grants former prisoners “the opportunity to demonstrate that they were worthy of the exceptional benefit of significantly accelerated released from sentenced custody.